Small Carpathian Museum in Pezinok is a regional museum presenting the history of viticulture and wine making in the Small Carpathian area. The museum is located in a burgher’s vineyard house dating from the 17th century and attracts visitors with its interactive underground exhibition. 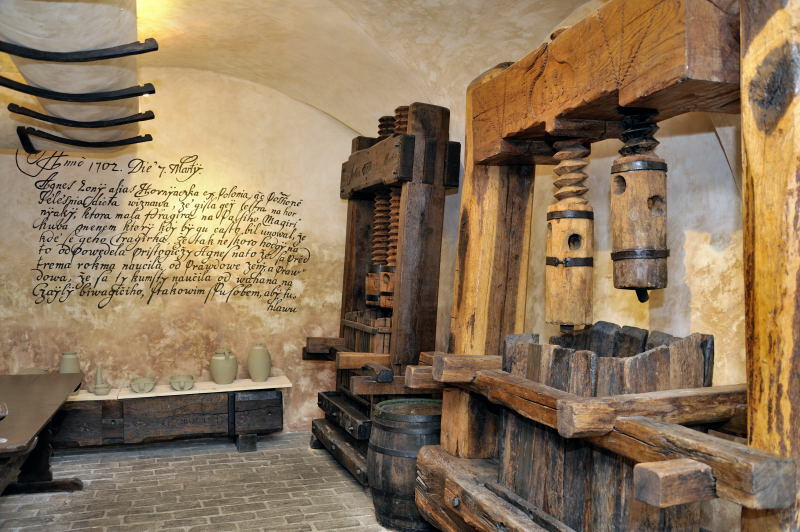 The museum represents one of the most important central European collections of grape presses dating to start of the 17th century on through to the middle of the 20th century, as well as with additional cultivation and wine making tools, barrels, etc. The exposition uses multimedia resources as well as other interactive elements to activate all of the visitor’s senses during their tour and includes an aroma bar (recognizing the scents in wines), corking wine bottles and the opportunity to taste Small Carpathian wines with light refreshments and the professional guidance of a sommelier. Pezinok Wine Cellars – which features tastings of the best local wines in authentic cellars in the centre of Pezinok and provides the opportunity for music and art presentations and performances. On official holidays and non-working days the museum is opened for pre-booked groups only.